Alain Vigneault said before the game that his team has been there before, and they’ve been successful by staying in the moment. Unfortunately, that success didn’t carry over to this season, as they lost this game, this series, and their season, by the final score of 6-3. One of the things the Rangers said they needed is the strong presence and scoring of Rick Nash, and he opened up the scoring for his team 1:01 into Game 5. Brady Skjei made a fast pass to Dan Girardi, who took a shot from the point. That got deflected by Nash in front for the early Rangers’ lead. Just like the last two seasons, the Rangers find themselves in a 3 games to 1 series deficit, dropping two straight games on home ice to the Penguins. Starting tonight at the CONSOL Energy Center, Alain Vigneault’s squad will be looking to make it three straight seasons with a come from behind series victory. In 2014, the Rangers defeated the Penguins after being down 3-1, winning two on the road and Game 6 at MSG. Last year, the Rangers found themselves in the same hole to the Capitals, winning three straight games including a Game 7 overtime winner from Derek Stepan. Following a few drills and practices on his own, captain Ryan McDonagh skated in a full contact jersey alongside all of his teammates, marking the first time he’s returned to the ice with everyone since blocking a shot against the Columbus Blue Jackets two weeks ago. McDonagh was ahead of schedule, and his return was a surprise to his teammates and his coaches. He skated on a defensive pair with Raphael Diaz, who was recalled from the Hartford Wolf Pack, and he had no limitations. The Rangers practiced today ahead of Game 2 against the Penguins tomorrow, and Henrik Lundqvist was back on the ice in full gear, practicing with the rest of the team. 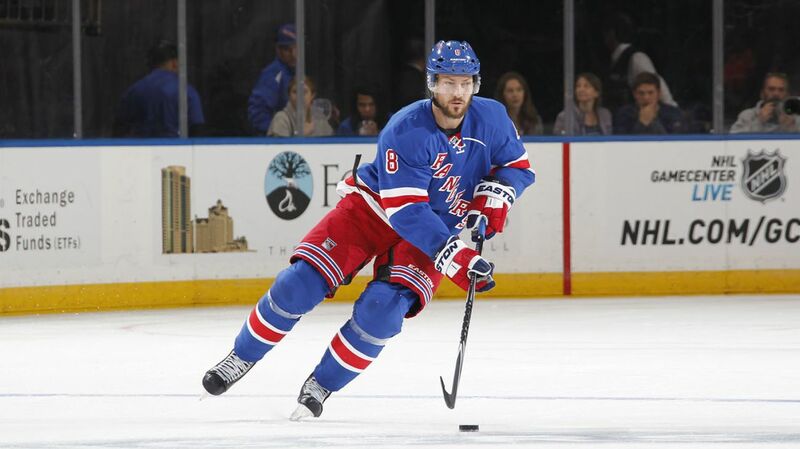 Dan Girardi was absent, and it was revealed by Alain Vigneault that he would not play tomorrow due to an injury. The Rangers recalled goaltender Magnus Hellberg from Hartford yesterday just in case they got bad news about Lundqvist. But after seeing a specialist, there is no real damage to his eye, and the concern is about the swelling around his eye (per John Shannon). Lundqvist said his vision was blurry after the incident, but got better as the night went on. Andrew Gross of The Record said that Lundqvist looked sharp in practice.